User acquisition is the cornerstone of every startup, especially in the early stages after the launch of the product. You spent a lot of time and effort building and perfecting the product. Now it’s time to announce to the world that it’s there and start driving traffic. This can be overwhelming at the beginning, especially for DIY startups that are doing most of the work within a small team and perhaps don’t have a lot of marketing resource. There are so many potential techniques and channels to market your app, it’s hard to know where to start. No matter what your marketing strategy is, all or most of your traffic goes through your homepage or landing page. That’s why optimising your landing page is a crucial step in your acquisition strategy. But this day and age, it’s not enough to just launch a website. There are 230,000 health apps in the app stores and they are all competing for users attention. Driving all traffic to a poorly converting website is a waste or marketing effort. But constantly tweaking your website content to see what sticks without a clear strategy is a waste of time as well. The truth is, most of the time you can’t write a highly-converting landing page on your own. Not because you lack the skills, but because you’re not objective enough. You spent a lot of time building your product, and you know it in-and-out. To convince them to try your product you need to speak their language. To speak their language, you need to see it through their eyes first. This is where landing page testing comes in. What motivates people to use your product? What concerns them about using the product? How do they solve their problem now and what does it take to switch to your product? Answers to those questions are the building blocks of your acquisition strategy. You want to use those insights to create consistent and compelling messaging across all touchpoints of your acquisition strategy. From social media graphics and paid ads to the landing pages and app store graphics. The beauty of this method is that it can be used by startups at any stages of development. Established startups wanting to optimise their funnel can test their homepage or existing landing pages. Early-stage and pre-launch startups can test using prototypes or even competitor websites. Testing your existing homepage is a fantastic starting point for optimising and expanding your acquisition funnel. 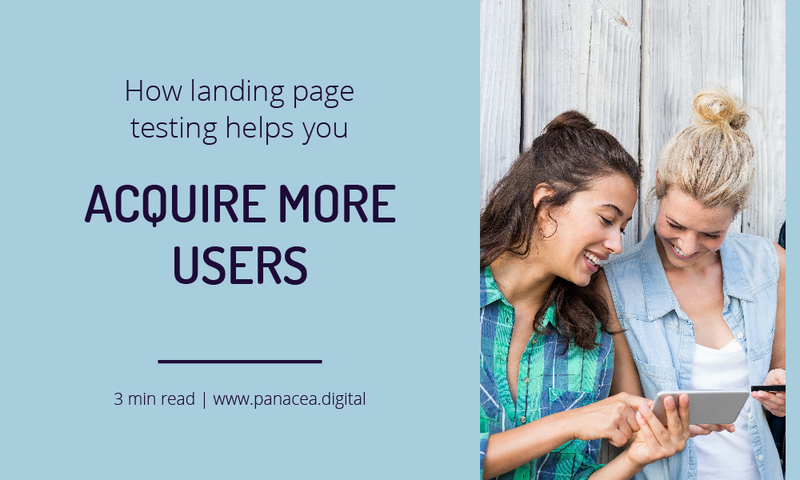 You can use the findings to launch and test multiple campaign-specific landing pages. 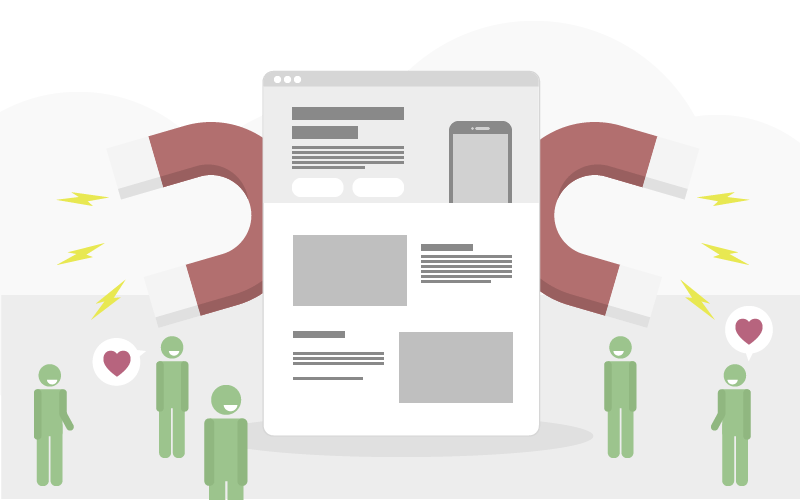 Read here about the advantages of using campaign-specific landing pages. 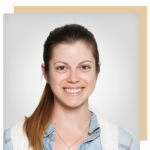 You can also use this technique to create different landing pages for different user segments – the more specific and relevant the message, the higher the conversion rate. If you’re in the ideation stage, you can use this method to test the value proposition and to plan the acquisition strategy. Use a low-fidelity prototype of your homepage to describe your product and get user feedback before you launch your product. If you’re going down the DIY approach and making everything on your own, a simple sketched out wireframes (you can use pen and paper and then scan or photograph) and an intuitive prototyping tool like InVision will be enough. It’s not about polishing the product, it’s about getting the insight, implementing learnings and moving on. Before you have a product, you can use your competitor websites as a prototype of your future service. Apart from the insight for your own acquisition strategy, it will help you understand what works and what doesn’t work for your competitors, and will help you come up with the right angle to differentiate your product. How will you use landing page testing in your startup? Don’t have time to do the testing on your own? I offer landing page testing and the design of your acquisition assets as a convenient consulting package. Click here to learn how it works.